The most exciting and challenging fishing starts in Fall. The first fish to arrive on the river is the CHINOOK SALMON, who start their migration in late September continuing into early December. Small STEELHEAD (1/2 to 4 lbs) follow these SALMON up the river and larger adult STEELHEAD start in November running through the winter months into late March. Note: “No Take” on CHINOOK SALMON. If you hook a salmon while STEELHEAD fishing you must release immediately. At times, fishing is very good and sometimes frustrating as we wait for the rains to ease and the water to clear. As steelheading tapers off, spring is prime time to do a little CATFISHING, especially if the water is just a little muddy. These fish are found in the river year-round, but spring is the best time to catch them. In April and May another anadromous fish puts in an appearance – the small but mighty SHAD. What fighters these fish are! Mostly taken on flies and feathered lures, these fish provide a lot of entertainment as well as refining the fly fisherman’s skill in using sinking shooting heads with wet flies. Summer brings warmer water and the bite turns on for SMALL and LARGE MOUTH BASS. These fish, along with BLUEGILL and CATFISH provide solid fishing all summer long for many visitors. 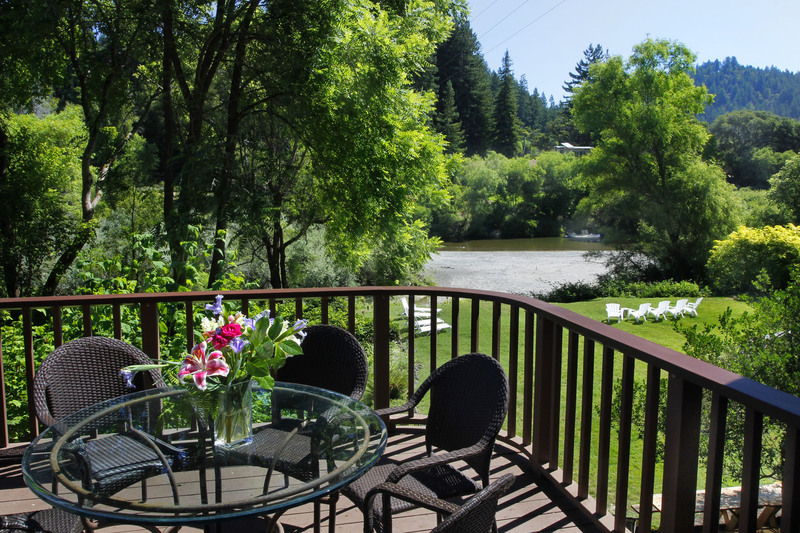 The Russian River is a Barbless-Hook river year-round. Check the Fish and Game Regulations for specific rules, hook sizes, bag limits, and size of fish. All tributaries are closed to fishing. These are spawning streams and we strive to protect our native fish.